In case you missed, it there was another end-times prediction for yesterday. 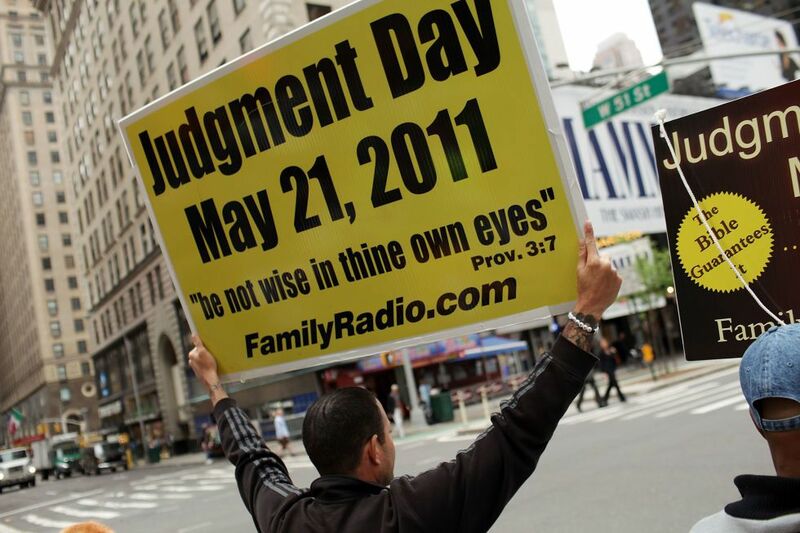 A ‘biblical numerologist’ who goes by ‘David Meade’—no relation to John—predicted that a rogue planet would appear, the rapture would happen, and the world as we know it would generally come to an end. Περὶ δὲ τῆς ἡμέρας ἐκείνης καὶ ὥρας οὐδεὶς οἶδεν, οὐδὲ οἱ ἄγγελοι τῶν οὐρανῶν οὐδὲ ὁ υἱός, εἰ μὴ ὁ πατὴρ μόνος. But concerning that day and hour, no one knows. Neither the angels of the heavens, nor the Son, except the Father alone. The variant in question is the presence or absence of οὐδὲ ὁ υἱός. Bart Ehrman calls this variant “one of the clearest examples of an orthodox change effected to prevent its heretical ‘misuse’” (Orthodox Corruption, p. 91). Ehrman accepts οὐδὲ ὁ υἱός as the earlier reading that scribes then omitted. Dan Wallace, on the other hand, argues that the phrase οὐδὲ ὁ υἱός is indeed original—to Mark’s Gospel. Its absence in Matthew is because Matthew removed it, only for it to be added back in by later scribes. Ehrman summarises the theological argument for ‘Orthodox Corruption’: “it suggests that the Son of God is not all-knowing and could be used therefore by adoptionists to argue that Jesus was not himself divine” (p. 92). Wallace has a series of responses to the theological argument in his article. I would like to point out that Ehrman does acknowledge that the same phrase is nearly always present at Mark 13:32 (though just a handful of manuscripts do omit it there). If one reads Matthew and Mark together canonically, neither the presence nor the absence of οὐδὲ ὁ υἱός changes any core doctrines of Christianity. Whether Matthew included the phrase or not, it is clear that Mark did. Finally, regardless of how one interprets Matthew 24:36 and Mark 13:32, and regardless of which reading one accepts as original at Matthew 24:36, one thing is clear: Only the Father knows the day and the hour. Not the angels in the heavens, nor the televangelist end-times ‘prophets’. If you really want to read a book on biblical numerology, I recommend this one. Wallace, Daniel B. “The Son’s Ignorance in Matthew 24:36: An Exercise in Textual and Redaction Criticism.” In Studies on the Text of the New Testament and Early Christianity: Essays in Honor of Michael W. Holmes On the Occasion of His 65th Birthday, edited by Daniel M. Gurtner, Juan Hernández Jr., and Paul Foster, 178–205. NTTSD 50. Leiden; Boston, 2015. EDIT (24 April): I corrected a typo that a reader caught, in which I mistakenly referred to Matthew 24:26 (not 24:36) in the final instance. It’s time for another round of everyone’s favorite game: “who said it?” Now, the invention of Google books has significantly diminished the challenge of this game, but it is best not to spoil it that way. The point is that we have so many manuscripts of the NT and that these manuscripts contain so many variant readings that surely the original reading in every case is somewhere present in our vast store of material. ... We have, therefore, a genuine embarrassment of riches in the quantity of manuscripts that we possess, and this accounts, on the one hand, for the optimism in the discipline and for the promise of solid results. In reading through 1 John with my Greek students this semester, I noticed two unexpected variants. They are both places where the Byzantine majority preserves a shorter reading that is easily explained as an accidental omission. πᾶς ὁ ἀρνούμενος τὸν υἱὸν οὐδὲ τὸν πατέρα ἔχει, ὁ ὁμολογῶν τὸν υἱὸν καὶ τὸν πατέρα ἔχει. πᾶς ὁ ἀρνούμενος τὸν υἱὸν οὐδὲ τὸν πατέρα ἔχει. While the minuscules are not unified here, there is still a clear Byz text identified by the ECM. Because of this unity, you will not find this variant in Robinson-Pierpont as a Byzantine variant though it is in the apparatus as an NA27 reading. The obvious explanation for the second reading is, of course, homoiteleuton (ἔχει ... ἔχει). By way of illustration, here is the correction of the text in 424 adding the text back in followed by a second correction expunging it. Ἴδετε ποταπὴν ἀγάπην δέδωκεν ἡμῖν ὁ πατήρ, ἵνα τέκνα θεοῦ κληθῶμεν, καὶ ἐσμέν. Ἴδετε ποταπὴν ἀγάπην δέδωκεν ἡμῖν ὁ πατήρ, ἵνα τέκνα θεοῦ κληθῶμεν. Once again, we have the earliest evidence, several dozen minuscules, and most of the versions in favor of the longer reading and the Byzantine manuscripts in favor of the shorter. This variant won’t show up in the RP as an intra-Byzantine variant either. 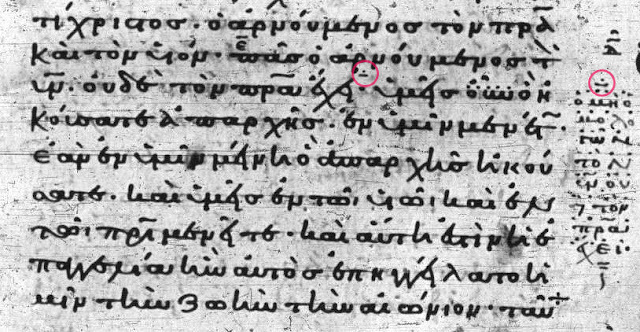 Again, the simplest explanation for the Byzantine reading is homoioteleuton, the eye skipping from -μεν to -μεν. Klaus Wachtel (Der Bzyantinische Text, 302–303) also suggests that the shorter reading would be preferable because it removes the abrupt shift from subjunctive (κληθῶμεν) to indicative (ἐσμέν) following ἵνα. Confirming this as a possible motive is the fact that we find the subjunctive ὦμεν in 2544 and this appears to be what is translated by the Harklean Syriac and some Coptic witnesses. Here is this variant again in 424 showing another correction. Both variants are pretty easy to deal with for reasoned and thoroughgoing eclectics and pretty difficult for Byzantine prioritists. It may be surprising to see the Byzantine tradition preserve such obvious mistakes, but in this, it also shows how careful the Byzantine scribes often were. It also suggests that, in some cases, the Byzantine text goes back to a single exemplar that is not the autograph and not in agreement with our earliest extant Greek witnesses. These two cases also illustrate well the reality that no single text-type or manuscript has a corner on the original text all the time. In other words, why I’m a reasoned eclectic. Update (11/29/18): here is further info on the interesting way that the 1611 KJV handled 1 John 2.23. Good news out of Birmingham today. 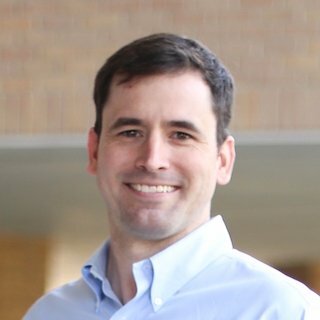 ITSEE extends its warmest congratulations to Troy Griffitts, one of its most longstanding doctoral students, on qualifying for the award of PhD. Troy began his studies in Birmingham in September 2010, researching the development of collaborative online frameworks for volunteer contributions to scholarly datasets, with a particular focus on the New Testament. 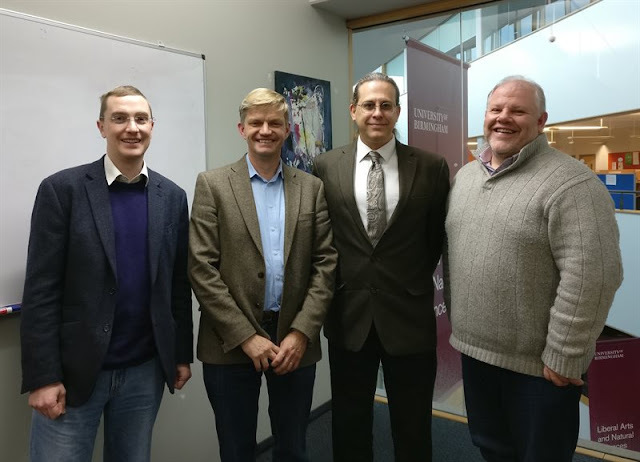 A year later, however, the opportunity arose for him to move to ITSEE’s collaborator, the Institut für neutestamentliche Textforschung in Münster, to become lead developer of the New Testament Virtual Manuscript Room (NT.VMR). Troy continued to work on his doctorate as a part-time, split-site and latterly distance-learning student. His thesis describes the development of NTVMR 2.0, and the independent scholarly editing environment to which it has led, the freely-available Virtual Manuscript Room Collaborative Research Environment (VMR CRE). 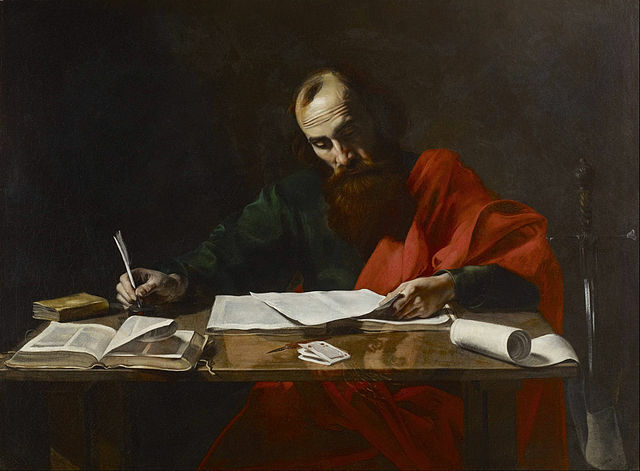 Troy’s thesis, entitled Software for the Collaborative Editing of the Greek New Testament, was examined by Dr Dirk Jongkind of the University of Cambridge and Dr Andrew Davies, Director of the Edward Cadbury Centre at Birmingham. His supervisors were Dr Hugh Houghton and Professor David Parker. Following the successful completion of his doctorate, Troy continues to be active in supporting the New Testament Virtual Manuscript Room, as well as the Museum of the Bible Greek Paul Project in the USA, the Coptic-Sahidic Old Testament Project in Göttingen and other teams using his software. He also remains a director of the CrossWire Bible Society. Congratulations, Troy! Thank you for all the hard work you put into these digital tools. Jan Joosten has posted an intriguing paper to academia.edu to be published in a congress volume, “New light on Proto-Theodotion. The Psalms of Solomon and the Milieu of the Kaige Recension.” It is worth reporting on some of the salient points in this piece. Joosten begins by surveying scholarship on the questions of Theodotion, proto-Theodotion, and the kaige-group (mainly the work of D. Barthélemy) and he isolates three open questions: (1) the first century CE date of this revisional activity, (2) the location of the revision in Palestine, and (3) the revision’s relationship to proto-Rabbinic exegesis. He then turns in an “unexepected” direction to the Psalms of Solomon. Most scholars believe that the Psalms of Solomon were originally composed in Hebrew, but Joosten and E. Bons believe that the work could have been composed originally in Greek. He locates the composition in Judea, freshly after the Roman invasion around the middle of the first century BCE. Note יחל – ἐλπίζειν in θ´ Job 14:14; Isa 42:4; Mic 5:6; α´ Job 14:14; Isa 42:4. The expression ὁ θεὸς σωτήρ is found in the Greek Bible only in these passages. This makes it very likely that the Ps. Sol. passage alludes to Mic 7:7. The constellation is the same as in the previous one, except that the revised reading is not extant for this precise verse in Micah. The equivalence יחל – ἐλπίζειν is attested elsewhere in Theodotion and Aquila, however. 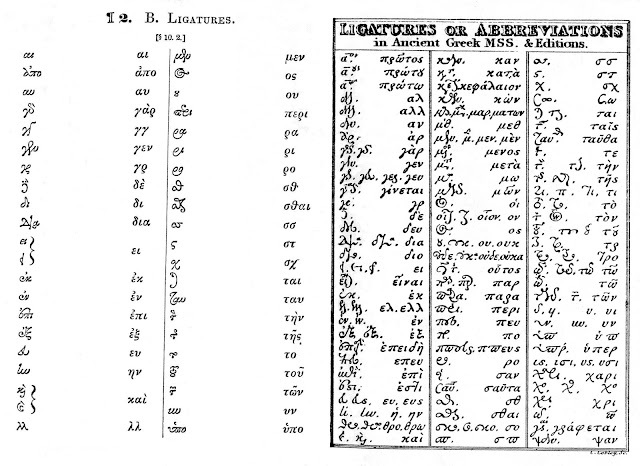 In Job 14:14, ὑπομένειν in the LXX was changed to ἐλπίζειν in θ´α´. Here, we do not have extant evidence of the revisers for Mic 7:7, but Joosten has probably detected correctly that Ps. Sol. has adopted their approach (as members of the kaige-group) to the translation of scripture rather than the OG’s. At the end of the article, Joosten returns to the open questions with which he began, quite cautiously drawing conclusions. First, if Ps. Sol. is dated to the second half of the first century BCE and there is a connection to kaige, then the kaige activity is more probably dated to the first century BCE, thus a minor correction to Barthélemy’s first century CE date. Second, Joosten notes that Ps. Sol. might now present new evidence for the kaige activity occurring in Palestine. Third, and most intriguing, Ps. Sol. expressed opinion that appears to be consonant with the Pharisees (e.g. resurrection of righteous in 3:11-12; 13:11), which might then link it—and now the kaige group—with the proto-Rabbinic movement. There is much to consider in this piece, and generally, it seems right to me. The same tradition or group that revised its sacred scriptures and made new translations of some of them could have also generated new psalms and collections. Probably, the major challenge to this argument would be that Jews in Judea composed Ps. Sol. in Greek, not Hebrew, a challenge that Joosten himself notes. Another aspect of Joosten’s discussion that’s worth revisiting is the language of “Theodotion.” His article depends only on Ps. Sol. originating with the kaige tradition not necessarily “Theodotion” or proto-Theodotion. It may be best to remove the reference to Theodotion and continue to use kaige tradition or group. But this is a minor point, and I don’t want it to detract from Joosten’s overall intriguing piece. I recently came across this short video of Craig Evans interviewing Larry Hurtado. 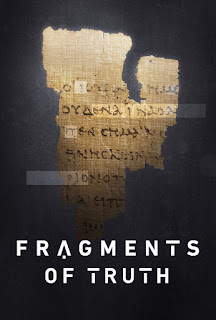 It appears to be made during the production of Evans’ new documentary, Fragments of Truth (see Peter Gurry’s review here). The date of P52 comes up, and Hurtado briefly explains why he thinks it is “among the earliest New Testament manuscripts” but not necessarily the earliest New Testament manuscript. Hurtado’s position isn’t new or unusual, but I find it helpful to draw attention to another voice among those who reject specifically early or narrow dates for P52. He has gone on the record before about what he thinks of the date of P52 (on his blog here, or in various articles, some of which are in his recent collection of essays, Texts and Artefacts). 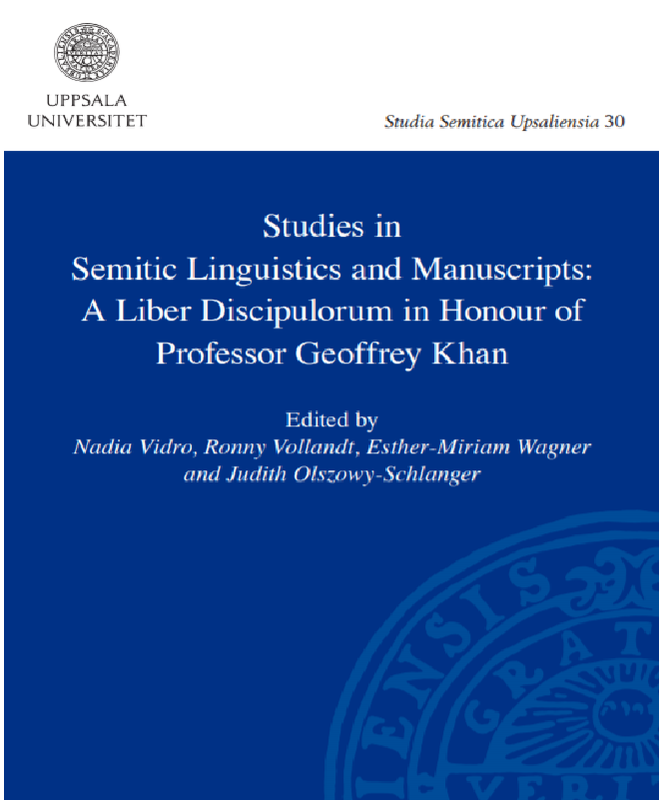 The full text of the Festschrift for Geoffrey Khan, one of the world’s leading Semitists, is now freely available here. In the opening essay of the volume I write about Semitic long /i/ vowels in Vaticanus NT, making the case that the spellings with epsilon-iota for the long /i/ in Vaticanus are a mixture of early readings and learned innovation. Greg Lanier is an assistant professor and dean of students at Reformed Theological Seminary and a good friend of mine from Cambridge. Recently, he published a long article in JETS about a particularly knotty textual problem that spans both OT and NT. It also raises questions for Evangelicals about the goal of textual criticism and its relationship to our bibliology. I would like to see more discussion about these issues and so I asked Greg if he would introduce us to his article and pose some of the issues it raises. So, here is Greg. The most recent volume of JETS (61.1) includes my analysis of the textual tradition of the murder (M), adultery (A), and steal (S) commandments of the Decalogue—traditionally 6th–8th in the Protestant numbering. The full article can be downloaded here. The bulk of the article is an inventory of the various sequences found in extant sources (including the versions) for both OT and NT occurrences of these commandments. For instance, the order M-A-S is read in the MT for both Exodus 20 and Deuteronomy 5; A-M-S in the Nash Papyrus and B-Deuteronomy; A-S-M in B-Exodus; and a variety of sequences appear in the NT references to these commandments (and the resulting textual traditions). The full set of results can, of course, be found in the article. While tracing the minutiae of these passages as far as possible was interesting in its own right, I eventually realized that the project served as a well-contained case study that surfaces and helps crystallize a bigger-picture issue of significance in the study of the textual tradition of Scripture. 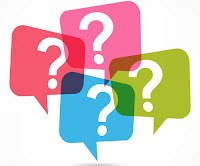 Namely, what does it mean to speak of an authorial/original/initial form of a Scriptural writing when faced with tremendous complexity in the actual data itself? In conversations with various OT and NT peers—particularly those who have a “high” doctrine of Scripture (of the American or British varieties)—I’ve found that this topic has struck a chord, as others have been thinking on it as well. The folks at Faithlife kindly sent me a review version of their new documentary Fragments of Truth that comes out two weeks from today. The movie itself lasts 115 minutes followed by about 30 minutes of Q&A with Craig Evans and others. Evans also serves as tour guide (think Mary Beard style) and the rest of the narration is filled in by John Rhys-Davies, better known as the amazing Gimli in Lord of the Rings. The basic point of the movie is to show that the text of the New Testament is reliable and that the variants that do exist pose no threat to Christian confidence in the New Testament. The closing words go further in saying that when you read your Bible, you “really are reading the Word of God.” Many Christians won’t even notice the leap from “textually reliable” to “inspired by God,” but skeptics probably won’t miss it. Evans takes us on a tour to locations across Europe that hold some of our most famous Greek New Testament manuscripts in places like Cambridge, Dublin, Vatican City, and Oxford. One nice feature about this is that they interview the curators at most of these stops. I like this because curators often get overlooked. But not here. Christian Biblical Canon Defined by Central Authority? The canon of the Hebrew Bible was defined, if not yet finally closed, by the end of the first century CE. The Pharisaic canon became the canon of Rabbinic Judaism, because the majority of those who re-founded the Jewish religion after the destruction of the Temple by the Romans were Pharisees. The process that led to this canonization needs to be explored. How should we think about the books that were eventually included in the canon? Unlike the early church, ancient Jewish communities did not have a central authority that defined the books of the canon. The formation of the Jewish canon was not prescribed by the priests of the Temple of Jerusalem, it emerged from the bottom-up with each community holding to its own collection of authoritative texts (emphasis added). Lim does not explain this analogy further, but surely, he is alluding to the all-too-common picture of a fourth-century council (usually Nicaea) that defined the books of the biblical canon once and for all. The problem with this view? No evidence. In fact, if you look through my and Ed Gallagher's recent The Biblical Canon Lists from Early Christianity, perhaps the first thing you will notice is that there is no list from the Council of Nicaea or similar council from this early period. In fact, we wanted to ensure that even the gathering at Laodicea in the 360's and the one at Hippo in the early 390's were not mistaken for the big councils of the same century. We translated the relevant terms with "synod" to try to convey that these assemblies were more regional and smaller than what the term "council" typically conveys in these discussions. If there was a canon list that came from a central, authoritative council, we do not possess it today. 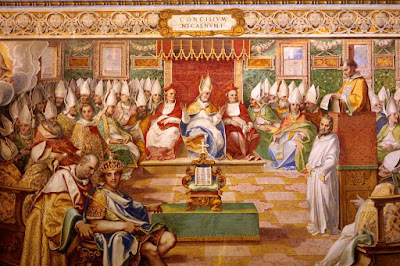 Rather, our lists show that there was almost certainly no such ruling on the canon, since, although the lists share much agreement, they also evince ongoing disputes and discussions over various books after the Council of Nicaea (325 CE). Therefore, both Judaism and Christianity cannot claim that their lists of books go back to some central authority. Both must trace the process of canonization according to the various sources we possess today. 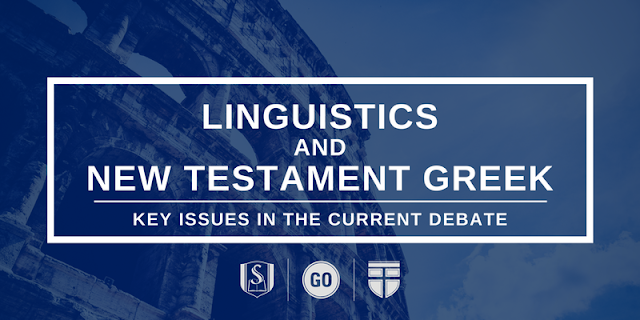 This two-day conference is designed to bring students of the Greek New Testament up-to-date regarding current issues related to linguistics and the interpretation of the New Testament. It features several top scholars in the field including Stan Porter, Constantine Campbell, Stephen Levinsohn, Steve Runge, and Robert Plummer. The session topics include verbal aspect, the perfect tense, discourse analysis, and word order. The cost of the conference includes dinner on Friday night, breakfast on Saturday morning, and a light snack late morning on Saturday. Last week I gave a quick tour of Greek New Testament type design over on the Twitter. This was inspired by the arrival of the book Greek Printing Types: 1465–1927: Facsimiles from an Exhibition of Books Illustrating the Development of Greek Printing Shown in the British Museum, 1927 at my local library. The introduction to the book gives a really helpful overview of Greek type design by Victor Scholderer, curator of the incunabula section in the British Museum Library. He was also the designer of Monotype’s New Hellenic in 1927 (see here) which finally unsettled the dominance of Porson in England. Fun fact about New Hellenic: it was used in abecedaries for nearly three decades in Greece. I think it was more common in classics than Biblical studies, but you see it, for example, in the older Cambridge History of the Bible. All that by way of introduction. For those particularly interested in reading historic editions of the GNT, one of the main obstacles to overcome is the proliferation of ligatures that grew out of the Aldine typefaces from the 15th century. The Aldine style was based on the hand of the Greek scribe Immanuel Rhusotas and, partly because it looked “scholarly,” it took off and would influence the major Greek New Testaments up to the nineteenth century. Practically, this means that reading anything before that can be a chore. To help, here is a website that gives a nice introduction to early printed Greek, especially the wild and woolly ligatures. Check it out if you’re interested in reading these old editions. 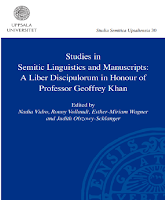 William H. Ingram, “The Ligatures of Early Printed Greek,” Greek, Roman and Byzantine Studies 7.4 (1966): 371–89 and William Wallace, “An Index of Greek Ligatures and Contractions,” Journal of Hellenic Studies 43 (1923): 183–193; Robert Proctor, The Printing of Greek in the Fifteenth Century (Oxford: Oxford University Press, 1900). For a nice overview of the development of Greek type design, see Gerry Leonidas’s article at the Association Typographique Internationale. Translations have consequences. In Exodus 34:29, there is a fascinating example of the tension between the formal and functional renderings of the Hebrew text in the history of its translation. Here are the relevant texts on which I want to focus, but if your translation offers some interesting insight, indicate so in the comments. Now, Moses did not know that the skin of his face qāran [when he spoke with him]. OG: Μωυσῆς οὐκ ᾔδει ὅτι δεδόξασται ἡ ὄψις τοῦ χρώματος τοῦ προσώπου αὐτοῦ ἐν τῷ λαλεῖν αὐτὸν αὐτῷ. Moses was not knowing that the appearance of his face’s skin was magnified [while he spoke with him]. Aquila (apud Jerome Am III 6.13): et Moyses nesciebat quia cornuta erat species uultus eius. And Moses was not knowing that the appearance of his face was horned. And he was ignorant that his face was horned [from conversing with God]. 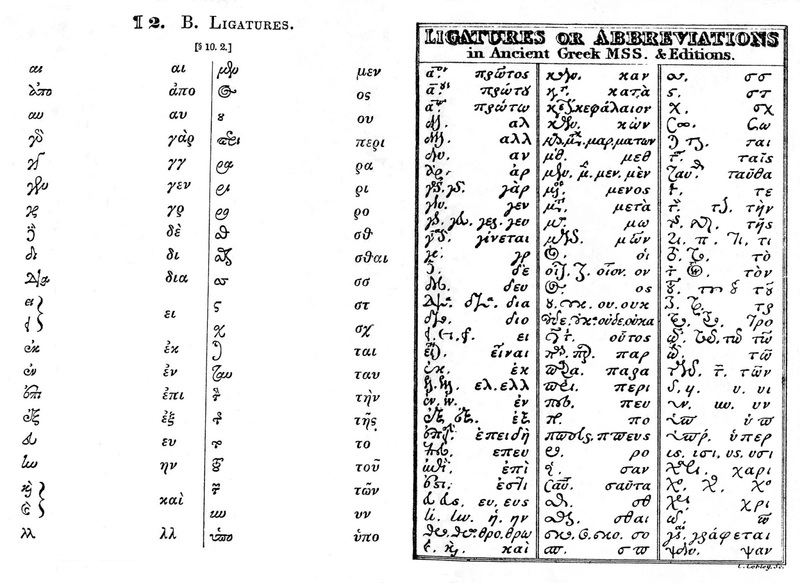 The first issue to sort out is the Greek text of Aquila. In his commentary on Amos 6:13 (PL 25:1067), Jerome is commenting on the noun Karnaim (קַרְנָיִם) “horns,” and among other texts he appeals to the Hebrew and Aquila’s edition of Exod 34:29 for an understanding of a person with horns. He does not provide the Greek reading of Aquila (which has not been preserved), but Aquila used κέρας and derivatives systematically for קרן and derivatives so we can reconstruct his version with some probability. Jerome used the adjective cornutu “horned,” so probably Aquila had something like ὅτι κερατώδης ἦν ἡ ὄψις τοῦ δέρματος τοῦ προσώπου αὐτοῦ. I doubt whether Aquila would have used ὄψις and not the nominative δέρμα “skin”, which would agree more closely with the Hebrew, but that’s another question for another day. The reason for the differences in translation comes from whether to render the Hebrew text formally or functionally. Qāran is from qeren “horn,” which is often times an image of strength in the ancient world and the Hebrew Bible, specifically the strength of a king (e.g. Deut 33:17; 1 Sam 2:1, 10). In the ancient world, gods and kings were often described as horned as a measure of their great or superior status, and perhaps the horns were a symbol of the deification of the king. Thus the denominative verb “is horned” (cp. the Hiph stem in Ps 69:32 of a bull “sprouting horns”) could symbolize Moses’ strength as Israel’s leader (cf. Exod 4:16). On the other hand, there are other references to horns in the Hebrew Bible such as the horns on the altar (many places in Exod and Lev), which would probably not symbolize superiority, but atonement and meeting with God. As mediator, Moses’ horns would perhaps fit with this background as well. OG-Exod interpreted Moses’ horns with a metaphorical rendering by assigning shining, glory, or magnificence to Moses’ face in the presence of Yahweh (cp. Targ and Pesh). Aquila revised the text according to etymology or ultra-literalism, and thus restored the ancient picture of a leader or mediator with horns. 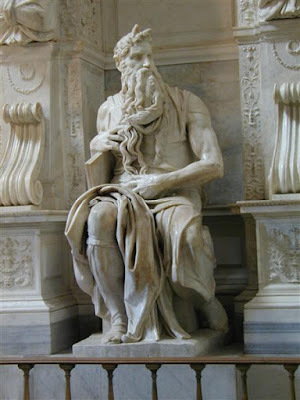 Jerome continued this tradition in his Vulgate, which must have also impacted the interpretation of Moses’ appearance by the time Michelangelo put chisel to marble to sculpt his Moses. Thus Jerome did not mistranslate the Hebrew (neither did the LXX for that matter). But he did borrow the ultra-literal translation of the Hebrew that Aquila had already supplied. And it is this rendering that explains why Michelangelo’s Moses looks the way it does.